Located in Melendugno, Masseria Bosco di Makyva Farm Home is in a rural location, within a 10-minute drive of Torre Sant'Andrea and Alimini Lakes. Featured amenities include luggage storage, a library, and a safe deposit box at the front desk. A roundtrip airport shuttle is provided for a surcharge (available on request), and free self parking is available onsite. With a stay at Brilliant Camere in Trieste (Trieste City Centre), you'll be steps from Canal Grande di Trieste and Piazza Vittorio Veneto. 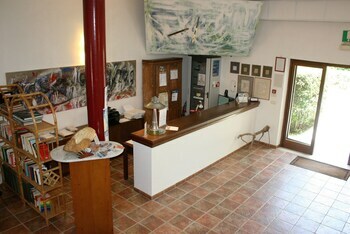 The front desk is staffed during limited hours. With a stay at Home Sharing - Santissima Annunziata in Florence (Duomo), you'll be steps from Piazza della Signoria and 5 minutes by foot from Ponte Vecchio.